The price of a brick. LEGO® sets are not cheap toys. They are made to the highest standards and have the price to go along with it. However, in the past couple decades it seems that the price of LEGO sets has become outrageous. New sets can sell for up to $500 retail and old sets can sell for twice that in a secondary market. This is a children’s toy, right? There is no way LEGO sets have always been this expensive; it is just molded plastic. Let’s take a look at the history of LEGO pricing and try to figure out what is going on. 1) They have a price listed. Almost all sets since 1980 have their retail price listed as do many sets before that year. There is not a way to qualify the price of a LEGO brick without first knowing the price of the set the brick is in. 2) The set contains at least 25 pieces. This is an arbitrary line but it is a line that needed to be drawn. There have been many promotional sets over the years which have very few pieces but carry a higher price because of their promotional status. These can range from keychains to individual minifigs to seasonal items. They are not representative of the typical price of a LEGO brick and therefore should not be included in the evaluation. I then calculated the price per piece1 of each set and adjusted it for inflation. Finally I calculated the average of each year, adjusted for inflation, and put it into graph form. Figure 1 shows the results (prices are in US dollars). Data on the price of sets before 1980 is lacking so I focused in on the data from 1980’s to the present as seen in Figure 2. From a preliminary look at our data, it appears the price of LEGO has actually decreased. Given what this graph shows, why does it seem like the price of LEGO has increased in price? Evaluating the perception of price. Many who received their first LEGO set in the early 1990’s are now adults looking forward to buying a LEGO set for their first child or for themselves. When we are younger, we do not fully understand how money works. We do not realize that a large LEGO set can require hours of work to earn. We only know what we want. I would wager that it isn’t until our first jobs that we can fully appreciate the value of money. We all wanted the large sets as kids and we didn’t realize how hard our parents had to work for them. Let’s look at some examples to illustrate this point. Pirates in some form or another have been an integral part of LEGO since 1989. Recently, the generic traditional pirate theme has been superseded by the Pirates of the Caribbean theme. However, with no more films on the horizon, this theme is sure to wind down and we should be seeing the return of the beloved Pirate theme in the near future. Over this period of 23 years, there have been quite a few different Pirate Ships. Let’s compare these ships. (NOTE: does not contain junior or Duplo sets because the pieces are priced differently and would not be a fair comparison). From this chart, you can see that there has been no real trend in the price per piece in these particular sets. The weighted average (larger sets weigh heavier than smaller sets) for the price is 13.19 cents per piece. The size of the ships did seem to increase in the last couple years; however, 3 data points does not make a trend (I will visit this idea later). For those of you who had a pirate ship growing up (I was lucky enough to get the Skull’s Eye Schooner), you may not have realized it, but it wasn’t cheap. And, the prices in this chart do not take inflation into account. Let us take another example, the LEGO castle. Over the years there have also been many variations of this theme. Below is a comparison of the sets that could be considered a castle. Besides the inordinate number of Hogwarts Castles, we can draw similar conclusions from this chart as we can from the Pirate Ship Chart. The prices really have not changed that much in the measurable time-frame2. The weighted average for all the castles is 10.56 cents per piece. As with the Pirate Ships, there does seem to be a general increase in piece count, however. The general trend seems to be that at least in the last couple decades, LEGO has not gotten any more expensive. Let’s next look a little closer into the price of a brick since 1990. If the price of individual pieces has not drastically changed, there must be another issue at hand to influence our perception. Another aspect I looked into was the size of the sets themselves. With the data from the piece price evaluations I was able to also evaluate the average size of LEGO sets each year. As you can see on the chart below, the average size of sets released each year stayed somewhat constant from 1980-1990 until around 2000 which set sizes started to increase. The average set size seems to have peaked in 2008 (which saw the release of the Taj Mahal), but since then it hasn’t fallen to its pre-2000 levels. It seems to have found a new normal around 300 pieces. This increase in average piece count could be a factor in why LEGO is perceived to be more expensive now than in the past. LEGO sets have become larger and more complex. They have started to market directly to an older crowd with sets such as the Modular Buildings and the Architecture series. These new sets have rekindled interest in LEGO for an older generation but at the same time, it has introduced this same generation to the relatively high price of LEGO sets. LEGO is not ignoring the lower priced market, however. As we can see from the chart below, the average price of a set of LEGO has been relatively stable since the 80s2. Even with the average piece count of sets increasing over time, the average price has remained stable. This shows that for all the larger expensive sets being released, they are also releasing plenty of average priced sets that balance out the average. Not only has the size of sets increased but so has the number of sets released per year (prices are in US dollars). As the number of sets released has increased, the harder it has been for stores to parcel out their shelving space. In order to make more sales, decisions have to be made as to which sets will be carried. Not every store can carry the whole product line (not even all official LEGO stores carry the whole product line). This process will favor the sets that drive sales the most, such as the licensed sets. The traditional boxes of bricks are pushed out of the way for the more profitable lines. Does a licensed LEGO set run at a premium? For many, it may seems that the advent of licensed sets3 correlates with the perceived increase in prices. The 1990s and before were a nostalgic heyday of affordable LEGO sets. This is not quite true. Below is a chart that compares the price per piece of licensed sets and unlicensed sets starting in 1999. 1999 is the first year that LEGO had major licensed themes. As you can see, there is no correlation between the licensing of a set and the price of a set. At least from what our chart shows, licensed sets do not carry a premium. Since about 2007, there is virtually no difference between the average price per piece of a licensed set and an unlicensed set. If the price of a piece of LEGO has remained stable, perhaps the size of the bricks has decreased. It may be that the price of an individual brick has gone down over time, but what does it matter if the size of the bricks has decreased overtime? Sure, the average number of pieces in a set has increased, but how many of those pieces are tiny details? To answer this question, I compiled all the weight data on brickset.com and compared the sets by their price per gram in a similar fashion to how I compared them by price of piece. Below is the chart of my results (prices are in US dollars). As with the evaluation of price per brick, this shows that there has been no overall increase in the price per gram of LEGO in the last 30 years. As with our other metrics, recently the price has become more stable. In 2004 the LEGO group was in trouble. They were losing money and losing market share to other toys and entertainment products4. In order to address some fundamental issues in their business, they needed to cut costs. Leading up to this crisis, LEGO bricks had been adding new designs and colors without consideration for the cost to the business. LEGO went through a large reorganization and cut the production of unique elements in half, the variety of colors in half, and the number of suppliers by 80%. This, in addition to an increase in licensed sets and an expansion into video games, saved the LEGO Company. In reorganizing the company, LEGO became more efficient. The data shows that they have been able to standardize costs and it is likely that they were able to hedge the price of plastic against future price fluctuations. In protecting their business, they have also been able to normalize prices for their customers. A stable price is good for everyone; it helps LEGO ensure that future production costs are budgeted for and it helps the consumer manage their budget. This allows LEGO to protect and grow its market share. For all the positive aspects, these changes are not without their drawbacks. The LEGO community has been crying foul over the perceived decline in quality of the bricks5. While nowhere as bad as their competitor, any decline in quality reflects poorly on a company known for quality control. The LEGO group has been expanding its manufacturing base to places outside of Denmark, into Mexico, the Czech Republic, and China (although so far it seems only their “signature brand” non-set items are made in China). LEGO claims that this has not changed their dedication to the quality of standards by which they abide. However, it seems that the molds have changed to reduce plastic6. Whether or not this affects the durability of the bricks is yet to be seen. Children who were bought LEGO as gifts are now old enough to buy it for themselves and for others as gifts and they are surprised by the price. When we are young, we do not know the value of money let alone the toys we play with. Our parents work tirelessly to buy us the newest, most popular toys and we never realize the effort that went into earning that money. Eventually we get our own jobs and have our own kids. The prices of the toys we had as kids comes as a shock. $150 for a toy? $200 for a toy? These prices are outrageous. It is supposed to be a kid’s toy right? Our eyes may be drawn to the large sets but that doesn’t mean that reasonably priced sets are not nearby. In addition, as I stated before, LEGO has started to market some of their sets to an older audience. That $400 Super Star Destroyer is not for your kid; it is for you. This market didn’t exist 20 years ago. There is another factor that comes with the sticker shock. As I showed before, LEGO has had $100+ sets for a while. However, only recently have they produced sets even more pricy than that. When we were kids, the $100 set was the pinnacle of LEGO. It was the set we all aspired to own. It was the set we all went straight to at the store. Of course we rarely ended up with that set, but that was our dream. Now, the dream set is closer to the $400 range. It doesn’t mean that LEGO doesn’t make sub-$100 sets. They do, and more than ever. It just means that in comparison the $25 set looks a lot smaller than it did when the largest set was only $100. LEGO pricing has become a victim of its own expanding market. Not all old LEGO sets fetch such high prices, but of course all the popular ones do. These are the ones that we wanted when we were younger, and now that we have a bit of our own money we want to buy those dream sets from our childhood. This is, of course until we discover their second hand pricing. LEGO has changed a lot in its history. It started as a wooden toy company before it discovered the benefits of molded plastic. Since the advent of the brick, we have been able to build everything from houses, to spaceships, to working robots. The increased detail and wider product line has allowed for the blossoming of the idea of LEGO as an art medium7. LEGO bricks walk the line between giving people more pieces that can be used to add detail and restricting the pieces to inspire creativity. There is a balance that can be seen through the amazing works, both large and small, that can be done with a bit of patience and an eye for plastic. LEGO is not a cheap toy and has never been. The brand has stood for nothing but the highest quality and hopefully any issues it has had with changes in manufacturing are only the result of temporary growing pains. Next time you are out buying a LEGO set for a loved one or for yourself, take a second to thank everyone who ever bought one for you as a gift. -Andrew Sielen, LEGO Enthusiast and former “Brick Specialist” with a Bachelor’s degree in International Business from the University of Southern California. Currently, he has no connection to The LEGO Group® and wrote this as a personal side project. 1· To calculate the average price per piece in a year, I took the price per piece of each set made that year, multiplied it by the number of pieces in the set and then averaged all the weighted prices. I used a weighted average because when we are looking at the price per piece we are essentially saying we could buy x number of pieces for y dollars. Larger sets tend to have a lower price per piece so in effect you could get more pieces at that lower price that year. Note: this was done using US retail price data from Brickset. 2· Data before 1980 is lacking. Anyone who can contribute to updating the pricing data on Brickset should to help with a more accurate evaluation. I know there are some people out there with old catalogs that have price info in them. Please do what you can to update the Brickset database. The brick on the left is the old mold, the one on the right is a new mold. Both of these are from a pick–a–brick wall at a LEGO store. Notice the one on the right has a more rounded stud than the one on the left, it may be a small savings but it can add up. Notice the newer mold on the right has an indent in the tube. Does It Feel Like Lego Bricks Just Keep Getting More Expensive? – A very short and incomplete evaluation of the price of LEGO the history of the toy. © Andrew Sielen and Reality Prose, 2013. Unauthorized use and/or duplication of this material without express and written permission from this blog’s author and/or owner is strictly prohibited. Excerpts and links may be used, provided that full and clear credit is given to Andrew Sielen and Reality Prose with appropriate and specific direction to the original content. I’ll keep that in mind next time. Although, it was kind of a fun challenge to write the program. I just wish more MSRPs were listed for older sets, I guess that data is hard to come by. Also, I wanted to write the program because I also compiled data from Bricklink also and combined it with data from Brickset. So I was able to do a comparison of historic MSRP and current market prices. Great article! Great analysis (hope it;s accurate)! Just another slap in the face of all those whiny “it used to be better in the old days” born-olds. A very good write up on the price of Lego… great use of data. This is remarkable. I love being part of the group of people that love Lego. What a fantastic and thoughtful argument about the prices. Thank you for your work. Oh, also, I should add that I would like to see if this trend is the same for specific themes, or just over all themes. Although I would guess that the individual themes would show the same general trend you discuss here, one reason individuals might believe in the “price increase fallacy” might be because of the individual themes they support. But again, I think that if you do this, you will find the themes fit the trend as well. If you are looking to go into the numbers more, this might be an interesting area to investigate. Outstanding work here. After reading a number of complaints about how the price has ‘increased’ over the years, it’s great to see this analytical approach. One additional hypothesis I have is related to the increase in the number of sets released each year, which would appear to be supported by your data. More sets to buy to be ‘complete’ makes for more money out of pocket. Excellent article. Especially for pointing out how different we remember things from ‘when we were kids.’ (I swear Optimus Prime was two feet tall!) My only criticism is linking to those two Brickset articles about supposed “quality decline”… the headlines are sensationalist and inflammatory, and a LEGO rep eventually replied to the spurious claims with information that deflates much of the (somewhat unfounded) criticism. Also the comments give me a headache. Otherwise great stuff! Excellent article, love the analysis. Here is my one observation, the price per piece on some of the pirate ships are high (ex. 6280) because they are smaller ships. The ship hull count as 1 piece but it is one very large piece in the set. Also licensed product do carry a premium it is just not visible to the public. What makes LEGO sets seem more expensive now is that the effective piece count seems lower. I remember that in the 80s, each set was full of bricks that were not overtly specialized only to that set. So they were useful for more things. Now the sets usually come with less bricks and plates (things that could be useful everywhere) and bring more things like minifigure accessories, flick fire missiles and other things that are not that useful. Although I think that everything was far worse in the late 1990s/Early 2000s than it is now. Some of the accessories such as flick-fire missiles and minifig accessories can be useful to other sets. For example, the missiles can be used for exhaust stacks on semis or for art in a mosaic project. I would say there’s also a subjective value/piece/cost inherent in how we shop for Lego. I am less willing to pay more for a set that I don’t think is visually worth it regardless of piece count. Nice and interesting article. I will read it some more times and see what i can say about this. But i am a young person and my feeling is that the lego price has increased as well. One reason that people perceive that the cost of Lego has gone up is that the cost of so many other toys has gone down. You can now buy so much crap for a buck or two that Lego seems like a luxury item in comparison. It’s interesting to look in toy catalogs from the early eighties and see that Lego didn’t seem as costly then because the other toys were all costly as well. And a lot of toys have decreased in price because they are fully made in China. LEGO is succeeding because they produce better quality product than any of their competitors. This is even when there is a situation where people complain about the low quality of a LEGO product. Very well written piece. It is very expensive, but as seems to be the trend on here, I would agree you are paying for the quality with LEGO. I like that they have provided the opportunity for adults to build sets with the LEGO Modular buildings range, those sets use real architectural techniques in their construction and are really quite impressive. I’d be interested in your take on the “adult” sets such as the architecture series. I recently was looking at these sets as a gift but was disappointed by the lack of complexity in the pieces- they were largely specially made pieces that are extremely uni-purpose. I wonder is there a market for Legos themed towards adults? One with more traditional building color schemes or should Lego try and share Minecraft’s success? There is definitely a market for LEGO for adults. The modular buildings and other exclusives scratch that itch but there could be so much more. Currently the adult LEGO offerings falls into two categories: sets that look good but are boring to build (architecture) and sets that are fun to build (modular buildings, some Technic). The architecture line is marketed towards adult former fans of LEGO who want something to put on their desk. They can serve as a reintroduction to LEGO for adults. I am curious what you mean by specialty pieces in the architecture series. It seems to me they are almost all basic pieces, almost to a fault. Usually the argument is that the Star Wars sets have too many specialty pieces. Wow, this was really an eye-opening article. Very well researched and thought out. What’s impressive to me is how Lego has actually used economies of scale to make sets MORE affordable over the years. I had a lot of Lego as a kid (I’m 50); and my kid has a lot of Lego (a lot!). Long term trend: there is definitely a higher number of smaller pieces now than there used to be. So while the general price has been stable, the average piece size has gone down. The author’s analysis of price per gram. At the end of the day, LEGOs are more affordable today than they have ever been. They are an amazing toy and I am having so much fun introducing my son and daughter to the joys of a limitless imagination. What I have seen, even on the smaller sets, is the increased use of advanced building techniques like SNOT (Studs Not On Top). The simplest sets have become so much fun to build. It should also be mentioned that a few years back, I think around 2009 roughly, TLG started using smaller boxes for the same size sets. It was part of a move to not only save money, but also become greener as a company. Because the sets now take up less physical space on the shelf, and boxes with the same number of pieces appear smaller than sets from previous years, it could also contribute to the perception that you are getting less for your money today. In reality they are one and the same product. I would be interested to see a curve of the variation of the oil price, just to see if the price of the bricks is linked in a way or another to the price of the oil (from which is made the ABS). I’d never buy any of that Harry Potter or Star Wars lego junk if I had kids. The problem there is that Star Wars took over the Space theme and Harry Potter took over the Castle theme. Just keeping up with the kids- sign of the times. What’s a castle lover to do? Compare 6075 (Castle) with (7094 Kings Castle Siege) and 4757 (Hogwarts) and they all have their own fantastic attributes. Sell the Harry minifigs and buy some crownies- problem solved. the price status can be defined because (as I heard somewhere) in couple years LEGO will lost their license (patent) for LEGO bricks ( – so all manufacturers will be able to produce bricks that will work fine with origina, LEGO ones. So maybe LEGO wants to earn as much as they can until it happens? People have been able to sell bricks “compatible” with Lego for many years. IIRC one of the big competitors is Megabloks, and while their toys are pretty good, they are clearly inferior to Lego. But they are the same size. I do recall that there were competitive products in the 70s that were not size-compatible with Lego, because we looked into this as a cheaper alternative. But since the bricks weren’t the same sizes, we didn’t buy them… however, my memory might not be correct. I just want to add that the size of pieces might cause some noise on the statistics. 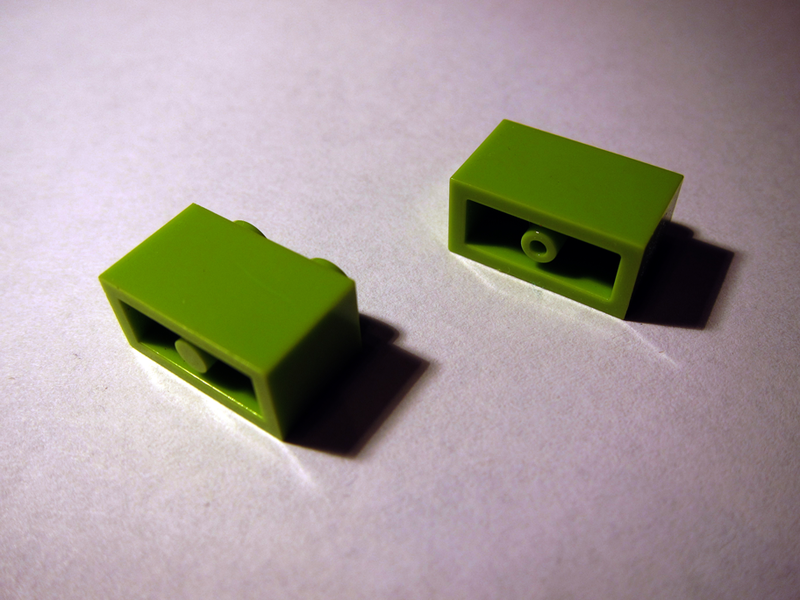 If you try to buy individual pieces from the LEGO pick-a-brick, it’s easy to note how big pieces (like a flat green 16×16 base) are way more expensive than small ones (let’s say a 1×1 flat piece), of a factor of 10-20. This might be reflected in the boxed set too: I noticed at the shop that (regarding LEGO City) “car” sets (cars, trucks, …) costs less than a “house” set with roughly the same amount of pieces. I think the price difference comes from the size of the blocks (bigger blocks for the base/walls of the house) even on sets with ~250 pieces. So the ratio of “small pieces sets” vs. “big pieces sets” will effectively alter the price-per-brick of the catalog, and should be monitored over the years too. I am afraid this is not about lego but about US dollar. Lego is manufactured in Denmark. It’s not the price of Lego going up but the price of dollar going down for 20 years. Good morning! My parents bought me my first Lego when I was about 3 and it was always one of my favorite toys and also was for my kids as well. I definitely recall the huge price jump in the mid-70s which I understand was caused by the oil crisis which resulted in (among many other things) the price of petroleum-based plastic increasingly hugely. Nonetheless, I remain a big fan of Lego and although I think they have somewhat moved away from their roots with the excess of licensed products (and the earlier licensed products were, in my opinion, not very good because they contained too many specialized non-generic pieces that weren’t useful for generic building. But that situation is improved and in particular we have found the Star Wars sets to be of most value for generic building, because they generally have very few really specialized pieces (although to be fair the sets are most useful for building other spaceships, etc). I’m glad the company was able to reorganize and improve its situation because if and when I have grandkids, I plan on buying them Lego! There is one aspect not looked at in the price and that is the shift to model building vs. creation leading to a change in the utility of the pieces. I seem to need many more sets to get a useful variety of pieces these days as many of the sets contain a lot of pieces that are very specific to the needs of the set and are less useful when one wants to create their own designs. It would be a fascinating addition to rate each of the block types on its utility, perhaps by its prevalence in other sets, and then assess each set on its total utility score. So then the question is how many sets would you need to by to achieve different levels of utility and how has this changed over time. A page out of a 1956 Eaton’s catalogue lists a series of Meccano sets, the top end with a price of 31.50. In present day dollars, that’s approximately $250. This. Is. Awesome. I remember running LEGO piece auctions ~1998/99 on RTL (rec.toys.lego) then later my own website. I’d buy sets at Walmart and other places on discount, break them out, and sell the pieces as lots. I knew I’d always make good money if I could average < $0.10/piece cost (ideally around $0.07) and sell for $0.15 – $0.20+ … fun times! Interesting work but I would like to know whether you would find the amount of new sets offered in toto has changed over the survey period. Is there an economy of scale at work? This seems to have two implications: first, the number of units for a particular set may have increased thereby affecting the price of all sets belonging to that class (but doubtful you could find exactly how many Death Star sets were produced in relation to, say, hogwarts castles); second, the popularity of certain set classes may affect what kinds of sets are available. Like with language, we are all confined to use the words we know. And so with Lego, set designers are confined to use what’s economical, unless, of course, the design calls for new styled pieces. These relations are difficult to grasp in statistical analyses, but would seem to play a role in price steering. Great article! Here’s a really techy question for you. I like the soft squishy jelly-ness of the lines in your graphs. i just wondered how you softened the curves? Splines? Honestly, all the charts were done in Excel. I tried other methods but that was the easiest since all my data was in excel already. They are X,Y Scatter plots with sooth lines – heavily tweaked. Made the lines thicker which makes it look smoother and changed the layout a bit to make it clearer. The Excel defaults are ugly but if you spend enough time tweaking them you can get something passable. Is this method of calculating ‘average price of a brick’ fair? Some sets are vastly more popular than others. Extreme prices in extraordinary sets will skew the average. It might be revealing to plot the price of the cheapest brick (minimising price of set / number of pieces) by year, or to plot the price of a brick in the bestselling set by year. One other thought–while the price per brick has fallen slightly, I would bet that average brick size has dropped significantly as complexity has increased. This may not represent worse value, but it FEELS like worse value–a 500-brick set today is likely to look smaller and weigh less than the older 500-brick sets. Very nice article! Found it posted on LinkedIn, believe it or not. BTW, what language did you write your web scraping program in? Weird that it was posted in LinkedIn. The final scraping was done in Python. A long time ago when I started it, the prototype was in a language called DM or byond. This is a language created for the purpose of writing 2d online rpgs. It was my first language and was easy to pick up but this was pushing its limits a bit. I actually ran the first scrapping on my other post (the Politics one) in this language. The results were not what I used in the article but it was a good proof of concept. Well I definitely appreciate the publicity. Thank you for drawing my attention to it. It is interesting to see where my article is ending up on the web. Hypothesis 3: although the inflation-adjusted price hasn’t increased, the sticker price has. Adults remember paying $10 for a set as a kid, and are naively shocked to see a similar set now costs $20 or more. That’s actually a very big part, but I’d go lower than the $10 sets. The little tiny box sets with one minifig and some small vehicle or accessory that were $1-4 when I was growing up in the 80s now seem to be anywhere from $5 to $12 on the shelves. The cheapest of those are the sets that you could buy as a casual gift with pocket change in the 80s. Related to that, I’d like to see a metric that tracked the bottom price (both sticker price and adjusted price) of sets each year. While you’re at it, may I suggest that you do an analysis of the secondary market for LEGO versus other secondary markets. Based on my periodic peeks into Craigslist, ebay and Amazon a used LEGO set holds its value rather well. That is actually sort of my next project. Although, it will probably be limited to Bricklink because there the data is easier to acquire and they keep records of all transactions. The price per minifigure has definitely gone up in the past 5 years. You used to be able to get 4 minifigs (along with some other stuff) at the $9.99 price point, now these are $12.99. And there are fewer minifigs in most $19.99, $29.99, etc. sets now. Lego Minifigures Series 1 was $1.99 each, subsequent series $2.99 each – I know it’s supply and demand, but it still feels kind of exploitative. I admit the cleverness of the builds keeps improving though. Are there any figures on production costs, i.e. how much it costs LEGO to make a brick? I’m guessing it’s less than a cent (for a basic brick), so how can they justify the prices they charge (10-20c per brick)? 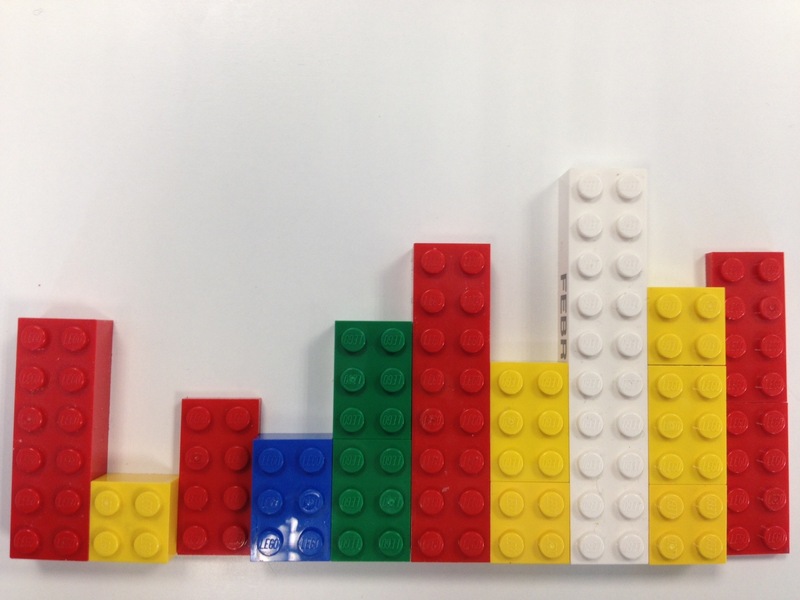 A real missed opportunity for LEGO graphs here. It’s quality, and its worth the price. I suspect that part of the problem with people’s perception of price is also due to changes in tastes as they grow up. A small child will be pleased with relatively small sets, since their lego collection and experience is likely to be almost non-existent. But as they get older, they will tire of the small sets and want ever bigger sets. For adults, most of the fun is in building rather than playing, meaning that size is everything. This means that over their lifetime, the price an individual person (or their parent) pays for lego sets does go up–because the composition of their purchases changes–even though the prices of lego sets over time does not. When you walk into a store and you see “sale” on everything but legos, the legos become more expensive..
A nice article but I see a few flaws. First of all if the distribution of LEGO sizes/prices is increasingly skewed it is better to either split the sample or look at medians or rolling medians than averages. Secondly, this is a perfect case to run a regression panel regression with time dummies to see both the impact of time and the impact of size on the prices. When I was a child in the 1960s, I bought most of my own Lego, using money from paper routes I had from the ages of 7-16. But the items I bought we not ‘kits’. They were small boxes of standard bricks. Each box contained only a single shape and colour, but you could find most of the basic shapes 1×1 or 1×2 or 1×4 or 1×8, 2×2 or 2×3 or 2×4, bevels, doors or windows, if you found the right box. The boxes were only 50 cents, and had an average of 12 bricks per box. That works out out to about 4-5 cents per brick. The kits were expensive, but buying the standard boxes was a lot cheaper, and that is what most people did back then. With my paper route, at the age of 7 I could buy 100 pieces per week using my own money. Name any 7 year old that afford to do that now! Perhaps other toys are getting cheaper so Lego now seems more expensive by way of comparison. Awesome article — thanks! I’ve been wondering about this as my five-year-old has become hooked recently. Oops, someone already pointed that out. Wow great article! Well researched and great thought given. There was in interesting Planet Money podcast on a related topic. In just seven years, from 1997 to 2004, the number of elements in the company’s inventory exploded, ascending from slightly more than 6,000 to more than 14,200. So did its range of colors, which climbed from the original six (red, yellow, blue, green, black, and white) to more than fifty. As the number of components and colors mounted, soaring supply and production costs plundered the company’s bottom line. Here’s why. 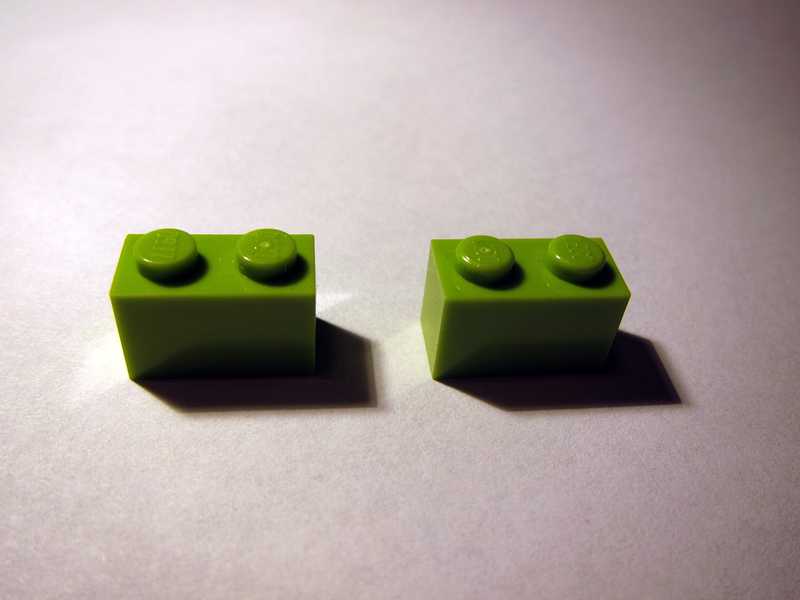 A standard brick with two rows of four studs delivers a profit to LEGO that is orders of magnitude greater than any specialized element, all because the brick is what LEGO calls a “universal” or “evergreen” element that can be used in so many different sets. A one-of-a-kind, specialized piece, however, generally works in just one or a few sets. Moreover, the cost of molding a standard brick is orders of magnitude cheaper than producing a specialized piece. A mold for a standard LEGO piece costs anywhere from $50,000 to $80,000; over its lifetime, it will spit out some sixty million bricks. The cost of making the mold, spread out over all those bricks, is essentially zero. But when designers concoct a specialized piece and LEGO manufactures just fifty thousand of them, the molding cost rises to as high as $1 per piece. Including just a few of these specialized pieces, as LEGO did with unrelenting frequency during the Plougmann era, can potentially kill a LEGO set’s profit potential. This is not to suggest that specialized pieces are bad. Far from it. LEGO Indiana Jones would never feel real without Indy’s whip; LEGO Board Games would never spring to life without their unique dice. But there’s no denying that specialized pieces are costly to produce, and their proliferation was a prime reason why the LEGO Group’s profits plummeted through much of the 1990s, despite steady sales. One more thought: LEGO is a Danish company. The fluctuations in the price of LEGO such as the big bump around 1985-7 in Figures 1 and 2 could be because of a change in exchange rates. The conversion rate between the Danish Kronor and the US$ went from over 10 in 83 and 84 to less than 7 in 86 and 87. LEGO might have been slow to respond to changes in exchange rates, leading to the temporary bump. If you’d like to share data we can redo your graphs in DKK. I wonder how much impact the change in CPI metrics had when you accounted for inflation? There was a dramatic change sometime in the nineties in how CPI was measured, essentially attenuating real inflation. If the inflationary trend of Legos was measured using 80’s methods, you might have arrived different picture. It’s like building a house out of ‘woods’ rather than ‘wood’. LEGO is the brand, the name of the product is LEGO, which consists of LEGO bricks and other pieces, but not LEGOs. Fantastic work and excellent article. I think several things have changed today compared to the late-70s thru late 80s when I primarily collected and played with Lego as a child that add to the perception that Lego is getting more expensive over time; or at least from my point of view as a MOC (my own creation) builder rather than a collector. 1. Color diversity: Back in the 80s, most sets were comprised of a few basic colors; red, blue, yellow, white, gray, and black. It was much easier to acquire a “critical mass” of pieces in each color to start building one’s own creations in coherent color schemes. Space, Town, Castle sets all had the same basic colors. Today Lego uses a much wider array of colors in their sets. While this adds a lot of variety and visual appeal to today’s sets, this means that one has to buy a much larger number of sets (or scour bricklink) to get achieve a workable critical mass of pieces in each color. After buying some of the modern sets, I end up with a few dark-blue or lime-green pieces that I don’t really have enough to much with other than use as accent colors. They end up in my misc color bin in the event I decide to build the set they originally came with or sell them off on bricklink. 2. Piece diversity: Today the total range of piece types and the number of new piece types introduced every year has skyrocketed since the decade of the 80s. As a kid, the new pieces introduced every year were indeed one of the great answers to my parents’ pleas of “don’t you already have ENOUGH Legos?!? !” However, the quantity of new piece types again coupled with the broad color diversity again requires much more Lego to be purchased to attain that “critical mass”. 3. Licensed themes: In the 80’s the Lego sets were more generic and interchangeable among themes. There were the basic Space, Town, Castle themes. The color schemes within a theme were more homogeneous (i.e. Blacktron sets or Mtron sets all had a common color scheme). Since there was no “fictional” real life object being copied, piece selection tended to emphasize versatility over “realism”. Almost every Lego set of the past had pictures of alternate models featured on the boxes and instructions that was meant to inspire a child to not just build the model featured in the instructions, but to embark on the mental challenge of making their own creations. Today, generally the creator sets only emphasize Lego as a building system. They come with pieces and instructions for two alternate models. Generally, Creator sets utilize a more basic color selection and look less “realistic” due to the emphasis on a versatile piece selection. Contrast that with current licensed themes and even Lego’s own proprietary themes. Themed/licensed sets are now trying to achieve more “realistic” models. As a result, piece and color selection skews toward more specialized pieces and colors again making the “critical mass” of pieces harder to achieve. 4. Collectability/Internet/Ebay: While Lego has always been a somewhat collectible product, the age of the internet has increased the collectability of Lego. Nostalgic adults came together on the internet to trackdown and re-acquire sets from their child hood. I think Lego has embraced this as evidenced by large limited edition sets aimed at the adult market. This is also evident in the increase in tempo of development of sets and themes that drive the collector to want to buy more and more; which overall is good for Lego. In the past, an individual set and theme seemed to have more life than they do now. So as a MOC builder, I have found that I tend to design MOCs on LDD and acquire parts as needed for each MOC from bricklink. I now tend to pass on licensed themes. I am especially turned off by the rehashing of many of the Star Wars vehicles. Sets that I buy tend to be Creator sets for my kids or the occasional “special edition” set that appeals to me such as the Sopwith Camel set. I see these in stores every year and especially around Christmas. Was thinking they may be useful to build up your pool of bricks. Just to be clear, I was referring to the brick buckets at the top of the page. I didn’t scroll down to see the Creator sets you had already mentioned. I bought a few of the larger buckets for my nephews a couple years back to boost their brick piles and also to give them a durable storage container. I remember keeping my bricks in an old gallon ice cream bucket for years until my collection outgrew the thing. you would like to say about this piece of writing, in my view its in fact amazing for me. If you need some kind of Bricklink Database, please feel free to contact me. If there’s a perception of increased cost, I don’t share it. I’ve noticed cheaper and cheaper competition in the plastic brick market, though. I wonder if that has had a bearing on consumer perception. For me, brand loyalty wins. I haven’t paid any mind to the competition in years. after that i advise him/her to pay a quick visit this web site, Keep up the good job. Really great, well-researched article. I think you hit the nail on the head here – the fact that there are more expensive sets than ever before affects perception. Also, I’m pretty sure the presence of a baseplate (light but large) in the old sets made them seem bigger. I don’t like the lack of baseplates in new sets – it does make them seem smaller. I agree with Aidan but would expand on his point. It’s not just that the sets seemed bigger; they were. As the relative complexity of sets has increased, so too has the piece count, but there has been an overall decline in the size of the models due to increased build complexity and a corresponding reduction in size of the pieces required to create such detail. The negative affect on perceived value in this is apparent, though I would argue, misguided when one considers the build quality and detail of new and recent sets. Thanks for the data. It’s great to see this company has worked hard to keep value and develop new products for adult fans. down the road. I want to encourage one to continue your ggreat job, have a nice morning! This research is really great and informative to LEGO folks. I wonder if I may translate it into my language and post it on a LEGO forum? You are welcome to as long as you give me credit and link to the original. Lego is like gold. You buy it cheaply and use it as a hedge against inflation….just like gold. Absolutely fantastic article. I’m amazed and giddy at how much effort was put into this to report accurate facts.